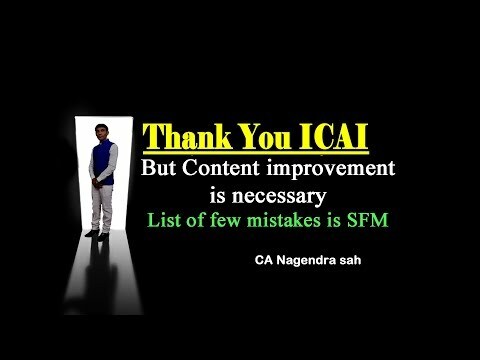 CA Nagendra Sah, I believe is the famous name among the CA fraternity who is well known for his unique way of teaching SFM. Every student expects the conceptual clarity rather than solving the problems. This is what we can gain from the great teacher like him. He is successful in explaining difficult topics in an easy and intuitive way. I personally loved the calculator using techniques which helped me managing time to attempt all the questions in time during the exam. Reference book and summary book prepared by him are very simple, complete, informative, useful and easy to understand. I had a great Learning experience. Thank you. One of "A good teacher can inspire hope, ignite the imagination, and instill a love of learning." 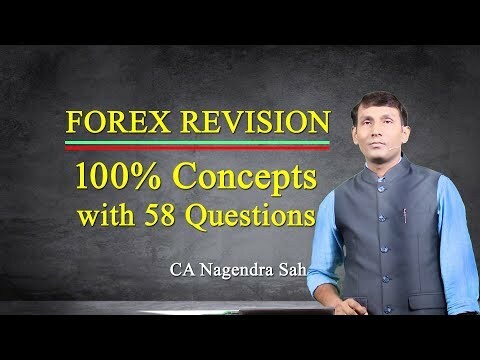 The quote rightly fits to CA Nagendra Sah.. His dedication towards teaching, simplification of complex concepts and practical/ live examples of different concepts have benefited heavily to lots of student, and I feel blessed to be one of them. His notes have always been topic of discussion in the market. What stands out is his readily availability for answering doubts and queries. The most important thing for a student for any subject is the coverage and conceptual clarity, me being the past student of him can say that I got both of them and its giving me dividends even today in my work arena.the Best Classes of my life.